This is also a great time of year to stock up on treats, food and toys! We'll keep you updated as we find more! Barkbox- In celebration of Black Friday and Cyber Muttday (ha), score your first Barkbox for $5 (a $40 value). 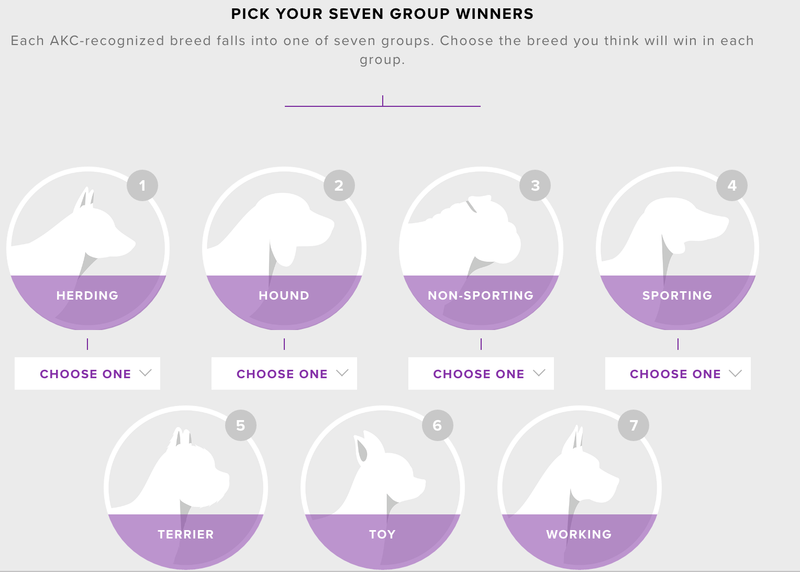 Cuddle Clones - Get $75 off a custom plush clone of your pet! Use code CC75BFCM through 11/27. Drs. Foster and Smith - Get a $50 gift certificate when you spend $125 (which, if you're stocking up on pet medication is easy to do!). Use code GR8GC50. Up to 50% off 100s of items on their site and free shipping. Petco - Will be closed on Thanksgiving but your local store will have lots of activities on Friday, including giveaways and free antlers with any purchase! There is also BOGO 50% on certain brands of pet food. You can check out all the details in the Black Friday flyer here. Petcube - If you've been waiting to invest in a pet camera, now is your chance to get your hands on Petcube's treat dispensing camera, the Petcube Bites, in an exclusive Snow White. While it will set you back a good $250, we've loved our first edition camera since they day we opened it up! Save up to $150 on a variety of Petcube cameras including the Petcube Bites ($179), Petcube Play ($149), and the Bites & Play bundle ($319). Petsmart - Starting Friday, doorbusters will include some of their lowest prices of the year on food, toys, treats, etc. You can check out their flyer here. 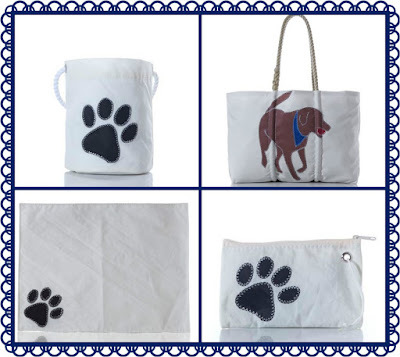 Pridebites - Save 35% sitewide on personalized pet products and toys with code BF35 through 11/27. Signing up for their emails will also save you $10 on your first order. Value Pet Supplies - Get 10% off all Valuepad Puppy Pads with CYBER17, plus free US shipping on orders over $29. Whistle - Take $30 the Whistle 3 GPS Pet Tracker through Cyber Monday with code GIVETHANKS30 at checkout. Get free shipping and a 90 day return window. Raise a Glass to National Dog Day! 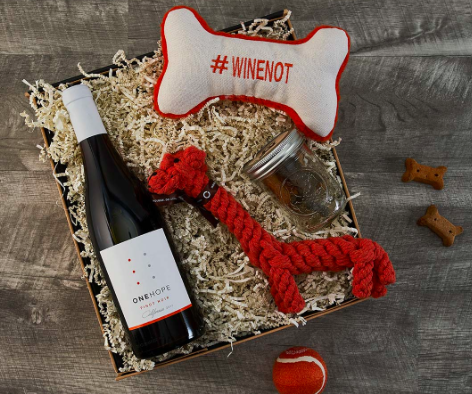 This Saturday, August 26th, is National Dog Day and ONEHOPE Wine wants to let you help dogs in need by drinking wine. Yes, you read that right. Drink wine, help dogs. And even if you're reading this and it's not National Pet Day anymore, what a great way to support a worthy cause any day of the week. These sets would make cool gifts for anyone in your life who loves dogs. To date, ONEHOPE has helped more than 43,000 shelter animals find a forever home which is pretty awesome. We'll drink to that! Cruising around Petsmart over the weekend we spotted these displays filled with TONS of pumpkin spice and fall flavored treats and goodies. We were particularly interested in the Apple Cider Donuts and Ghost Grub cookies from our regular fave, Bocce's Bakery. Are you ready for fall? Have you picked up any Halloween treats yet? So I know it's been a while since we've talked fashion (there's just something about spending 18+ hours of the day chasing a toddler that kills any desire to have nice things...), but we just had to post about these spectacular collars from French Bullevard. Designed and made in New York City and inspired by the founder's adorable Frenchie, Kumi, their collections are ever so chic and beautiful. 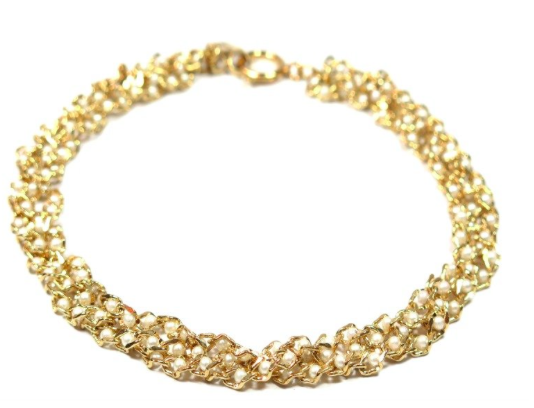 Our favorite collars are those more suited for special occasions and honestly are more jewelry than utilitarian-- check out the gorgeous Duchesse ($48), which features small glass pearls, or La Marquise ($42), which incorporates leather lacing (we are partial to the light blue, obviously!). One day we'll be able to have nice things again.... but in the meantime there's no reason you shouldn't treat your pup to one of these stunning collars! 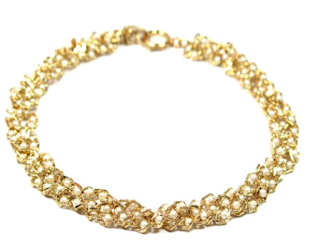 Head over to their website to learn more about their story and check out the gorgeous collections. 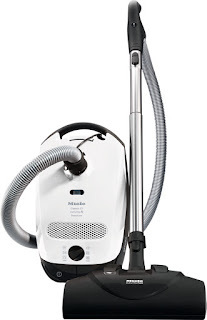 Guys, as bonkers as this sounds, one of the best gifts I've ever received was our Miele Polaris vacuum cleaner. It is worth every stinkin' cent that was spent on it. Not only has it survived the abuse of two cross-country moves, it still works just as well as the day we got it 5+ years ago. Light-weight and easy to use, it's also whisper quiet and doesn't scare the living daylights out of Paddington or the toddler. 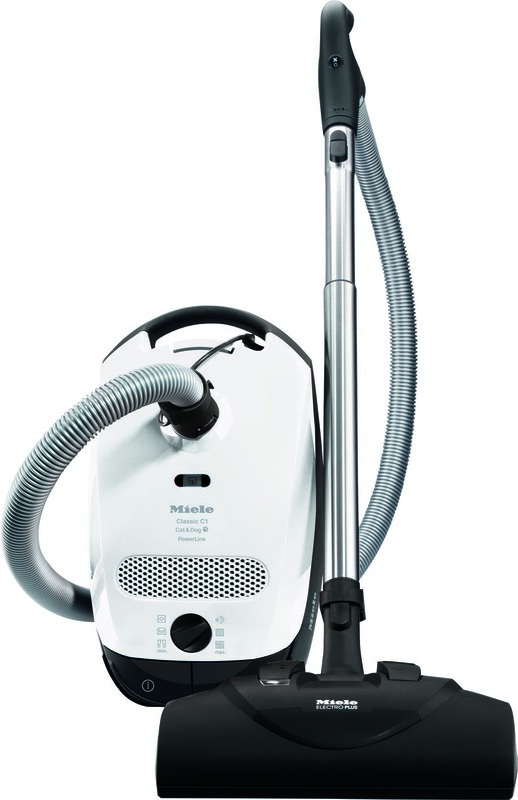 In very exciting news, Miele is rolling out a pet focused vacuum cleaner - the Classic C1 Cat & Dog Canister Vacuum! They sent us a press release with all kinds of details about the fancy filter and cleaning radius which all sound fantastic (even though we don't exactly know what they mean). Like all Miele products, they are on the more $$ side ($599), but long-term we would definitely recommend this investment. 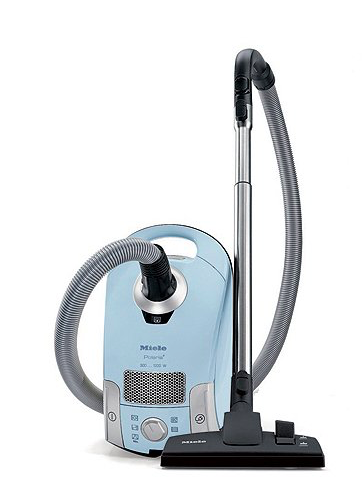 The filters/extra bags are also reasonably priced and on par with other less expensive vacuum cleaners on the market (thank goodness!). Bottom line: if it works as well as our Polaris, and you need a new vacuum, you'd crazy not to consider upgrading. The C1 Cat & Dog is available from local and online retailers - for more info visit www.mieleusa.com or hit them up on social media. 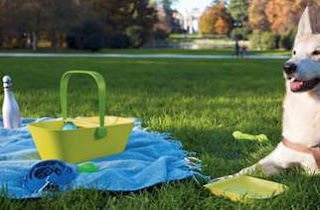 Planning a picnic this summer with your pet? While I wish we could say that we are (well, I guess there is still time since it's only June), we would definitely be bringing along this adorable PetNic basket from Alessi. Available in black, green and pink, the basket is made from thermoplastic resin and features a removable divider inside. 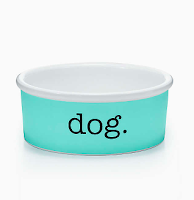 Though it's not technically designed to hold food and water, I'd guess you could probably try using the top as a serving dish for your pup (like in the above photo). Big enough to hold snacks, water and a few toys, it's honestly ones of the cuter new pet products we've seen. That said the price, $90, does make us want to howl a little. Though.... who is to say that this is just for pets? It looks like it could do double duty as a fun picnic accessory for toddlers or kids as well! Available from Alessi's online store. "Smart" pet toys seem to be the current trend and the Pebby aims to take internet connected pet devices to a new level. Currently in "Kickstarter" phase, the Pebby is a wireless/Bluetooth enabled system that is made up of a ball, collar, charging "kennel" and mobile app. Like other similar toys, pet owners are able to watch, interact, and capture their pets movements/activities while away from home through the ball. Built from durable, shatterproof polycarbonate, Pebby is designed to withstand rough play and the occasional dip in the water bowl. It looks like you'll also be able to easily change the look of your ball with magnetic caps in a variety of colors/patterns. The part of the Pebby system that excited us the most is the charging "kennel" which wirelessly charges your ball. Simply drive the ball into the kennel and it will self dock and begin charging! The least exciting part of the system has to be the collar, which serves to provide movement/activity tracking. 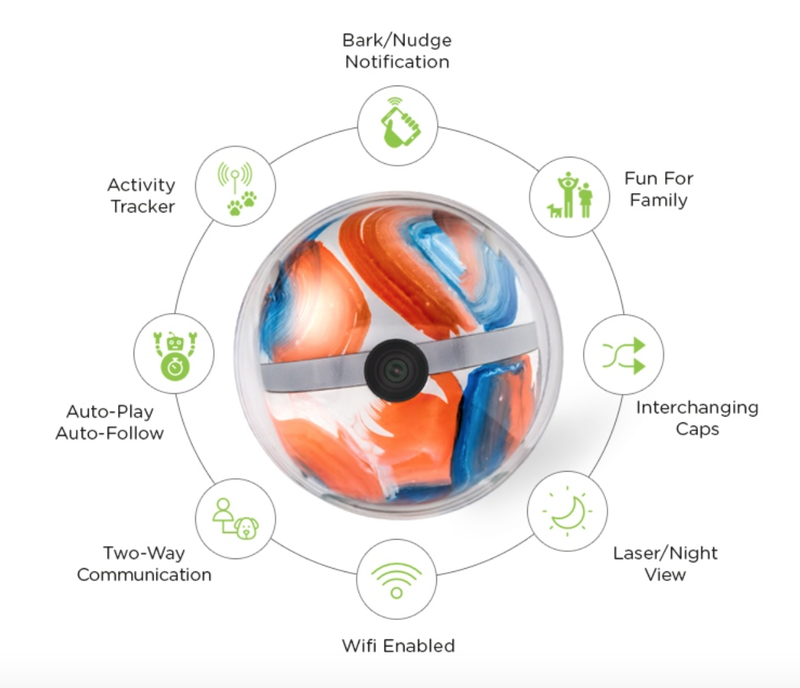 If you don't already have a pet activity device this is a nice integrated add, but not sure if it's going to challenge any of the existing leaders in the market. Pebby is currently offering a limited edition early bird special ($135) that is 45% off the retail price, so make sure to head over to their Kickstarter page if you're interested in learning more! I swear, one of these years we're going to make it the 2017 Global Pet Expo. I seriously cannot imagine a more fun way to spend a few days than surrounded by tons of cool new pet products! An interactive toy that can be controlled by your smartphone, the easyPlay allows you to monitor your pet, reward them with treats and track their physical activity when you're not home. Featuring a treat dispenser and two-way cameras/microphones, it's an interesting spin on the traditional pet camera. 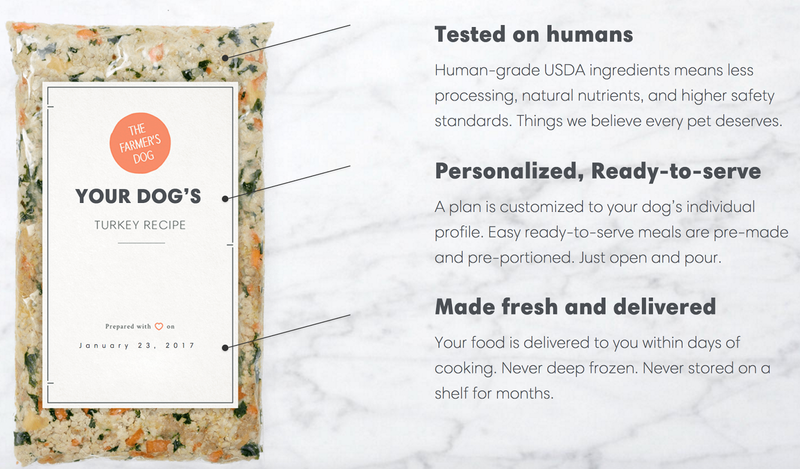 All-natural, human grade pet food seems to be the standard these days. The folks at Portland Pet Food Company are taking it to the next level with their shelf-stable, sustainably packaged meals for your pup. They make a variety of meals and food toppers that sound pretty tasty! This super premium pet food and treat company is one of our favorites! I'm sure they've got lots of excited previews planned for you. We particularly love their odor-less chews! I know... "bland food" isn't something you typically advertise, but for all of those dog parents who have spent hours in the kitchen whipping up chicken and rice for their sick pets, Under the Weather is a convenient solution made of bland stuff and 100% human grade freeze-dried meats. 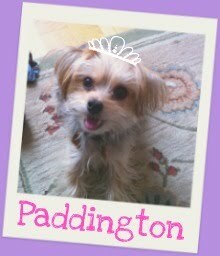 Many many moons ago, when Paddington was but a wee pup residing with us in NYC, we were introduced to the world of "fresh" dog food. The company, who has long since been out of business and whose name we have unfortunately forgotten, would mail to us frozen dinners made out of hearty organic ingredients and proteins that we would then heat up Lean Cuisine style for our pooch. 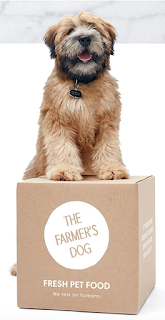 While that business never took off at the top, circa 2007, it looks like the folks at The Farmers Dog have updated the idea to cater to the custom pet food craze. 2015 and 2016 saw the introductions of brands like JustRight by Purina, which provide customized dry blends designed to meet your dog's nutritional needs, but The Farmers Dog is one of the first we've heard looking to take this technology into the fresh food market. Out of curiosity, we filled out The Farmers Dog questionnaire to see what our weekly cost would be, and it netted out at about $20/week for their beef recipe. It wasn't immediately clear how many times a day we'd be feeding Paddington or what a "daily" serving looks like, but according to their site instructions would come with our shipment. We would definitely be curious to understand whether we could supplement the fresh food with some of P's regular kibble, since an "all-wet" diet has typically not been good for her (or her teeth) in the past. 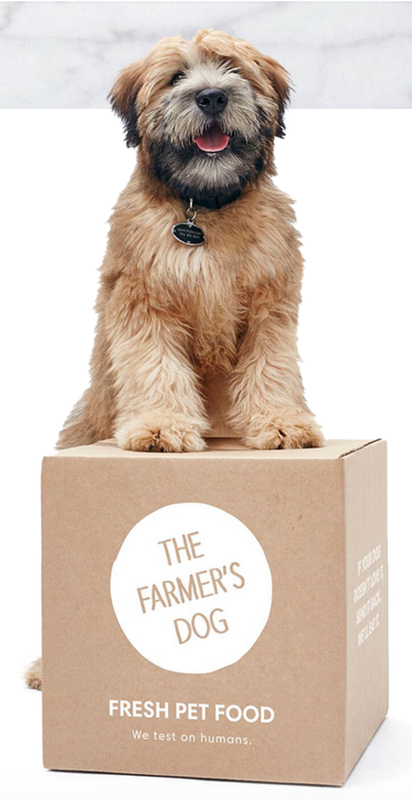 Overall, The Farmers Dog has a pretty robust Q&A and we felt like a lot of our questions were answered, so we would highly recommend you check it out if this post has piqued your interest. 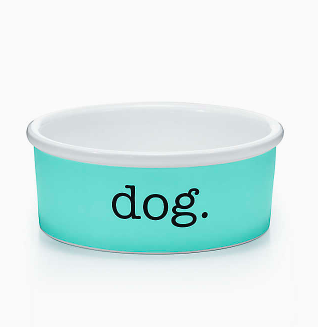 What are you feeding your pup these days? Custom blends? Off the shelf? Canned/wet? Westminster Kennel Club Dog Show "Barkets"
We've always associated January and the start of the new year with new resolutions, new goals, new diets, and of course-- the start of a new bracket season! Don't get us wrong... we are by no means sports experts, but there is something fun about filling out a bracket - whether it be for The Bachelor or the Super Bowl, we just can't help ourselves... (Ha, I bet you did NOT know that about us). 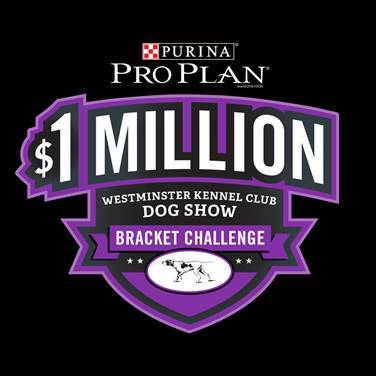 This is why were were SO EXCITED to get an email from the folks at Purina ProPlan about their Westminster Kennel Club Dog Show bracket. 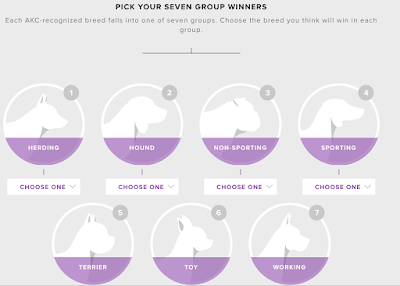 Simply visit www.dogshowbracket.com and use your canine intuition to pick your group and overall "Best in Show" winner. Hurry and don't delay -- the Westminster Kennel Club Dog Show will air on February 13th and 14th at 8 PM EST.